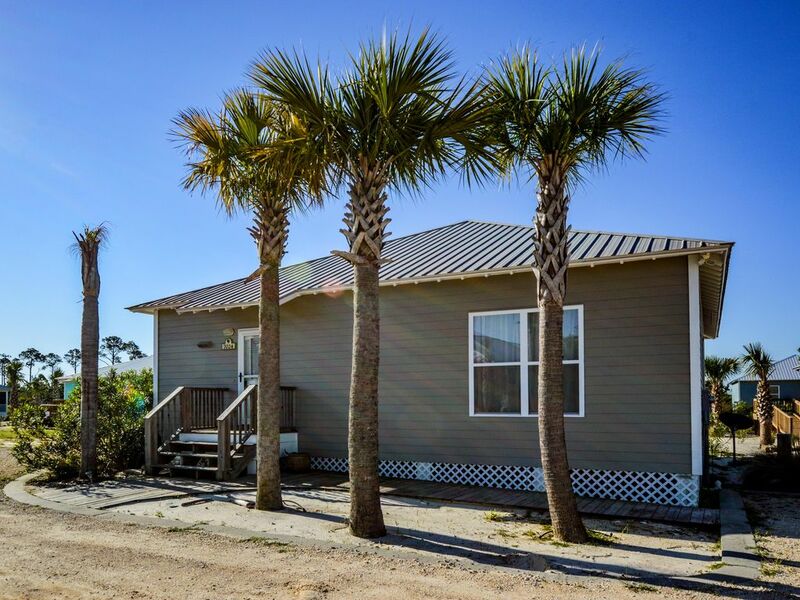 Cute cottage located in the heart of Ft. Morgan & Bon Secour National Wildlife Refuge, this property shouts relaxation! The complex offers 2 Pools, Kiddie Pool, and is only minutes from the sandy white beaches of the Gulf! This three bedroom/ two bath unit offers plenty of room for your vacation. The large kitchen is stocked with all the cookware needed for lunch or dinner. The living room has a sleeper sofa, flat screen television, and DVD player. The Master Bedroom has a King Bed, flat screen television with DVD, and private bath. The two guest bedrooms offer: Bedroom 2 has a Queen Bed with flat screen television & DVD; Bedroom 3 has a Queen Bed, Full Bed, & Twin Bunks with flat screen television & DVD. Both guest bedrooms share a spacious bathroom. Need more space?? Luna Beach Properties, LLC manages three units in The Rookery III. Area Attractions close by are: Waterville USA, miniature golf, Ft. Morgan, Tanger Outlet Mall, and Pinnacle Shopping Centre. Also close by are exclusive golf courses. The Rookery is centrally located between Mobile and Pensacola. Biloxi, MS Casinos are only two hours away! If you are looking for a quiet getaway thus is NOT the place. We were awakened each morning at 7 am by air compressors, nail guns, and hammers. There was construction on every side of us. Luna Beach properties was not helpful at all. We had a great time! The unit was very modern and comfortable. The area wasn't crowded and our children had a blast! Thanks so much. We stayed a full week and the place was fantastic. This unit is family and kid friendly. Clean, well maintained, relaxing, in an excellent location. We had a total of 9 stay there during the week. It was truly a family hang out. The sunrise on the porch was fantastic. The kids loved the pool. The beds were great (hubby is disabled with a bad back so this is really important!) We made some wonderful memories here and not a care in the world about anything else. What a joy and pleasure to have a place like this for a vacation. All other locations will pale in comparison. We had so much fun in Rookery III units!! We got 2 right across the street from each other and all our family came! The houses were so cozy and had everything we needed while we were there. I can't wait to return!! This house was absolutely perfect. My husband and I stayed for 5 days for our anniversary. It was so cozy and romantic, it was just what we were looking for. Everything was clean and very well maintained. The house had everything we needed and the beds were extremely comfortable. We will definitely be back again. Minimum Age Limit for Renter is 25! Rates listed above do not include: Departure Fee $125 + tax Processing Fee $55 Lodging Tax 9.5% Damage Waiver $69 Please use the BOOK IT button to reserve your reservation today!